Apollo Currency, APL, circulated on 28/07/2018 and runs free of a central bank. The decentralized crypto-currency is not mineable and adopts the proof of stake (pos) consensus. To acquire APL, you can go with a cryptocurrency exchange service. 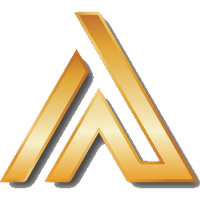 Apollo Currency are on social media such as Twitter, Telegram and Facebook, so check them out to stay up to date with the latest news. We don't have any exchanges listed for Apollo Currency yet, check back soon! We don't have any wallets listed for Apollo Currency yet, check back soon! We don't have any debit cards listed for Apollo Currency (APL) yet, check back soon! We don't have any price charts listed for Apollo Currency yet, check back soon!